Best ESL/EFL Teacher: How did this person influence you? Having a great language teacher (whether it be English or some other language) can influence students on whether or not they improve and use their communication skills in and out of the classroom. So, please share your experiences and feelings about a language teacher that helped you learn and describe what exactly the teacher did to motivate you. What is your image of the ideal teacher? Often, as human beings, we reflect on our past and wish that certain things had been different in our lives. So, if you could relive a single day of your life again, which would it be? Then, explain your reasons. Personally, there are many days I might relive again, good and bad days, and those days that were especially discouraging or disappointing. Being a father of children---one adult child, teenagers, and a younger child---there are times when I wish I could have spent more time with them, particularly when they just needed time to talk. Fortunately, we can learn from our past to make things better, and this is what I try to do everyday. Now, share your feelings on this topic. iTunes Movie Rentals: Can such services help English Students? Apple recently started its own movie rental service to provide downloadable movies that users can view for a short period of time. My question is how useful such a service will be to students and teachers learning ESL or EFL. Currently, the service is only available in certain areas and you can only view the movie during a 24-hour window. On the plus side, you can download these movies to newer-generation iPods, so a learner or teacher could view the movie away from the computer. Personally, I'd probably buy the movie from iTunes (or other places) instead of renting one, but the idea of its portability is interesting. As a teacher, I can imagine showing parts of the movie to help students improve their listening, vocabulary, and better yet, their discussion skills because I wouldn't just watch the movie (a very passive skill with popcorn), but I'd have students discuss the movie content as a way of building thinking skills. So, what is your opinion on using movies to improve your language skills? Share your experiences and ideas. Three Wishes: What would you change? If you were magically given three wishes, what would you wish to change in your life or in the lives of those around you? Personally, I would use one wish to heal a friend of a serious illness. My second wish would be to have more time and compassion to spend with my family. And finally, I'd wish to have some more time to myself to exercise, hike, and relax in the mountains in my state of Utah. So, how about you? Share your wishes with us. What are at least two common names for men and women of people your age? Of course, popular names change from year to year, but having an idea about names from specific countries can help familiarize ourselves with the culture and people. Please tell us where you are from and at least two popular names for men and women and share any interesting cultural information or meaning behind these names. The Perfect Date: Where, What, and Why? People's images of the perfect date often reflect their personal preferences, values, and even cultural upbringing. Thus, if you could arrange the perfect first date, where would you go, what would you do, and why would you choose this activity? Personally, I never liked going to a movie on a first date because you could never get to know the person. In my opinion, the ideal first date is packing a picnic lunch in a pack pack, hiking into the mountains near my home, and spending the day talking about each other's interests and dreams in life. 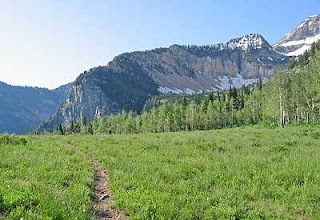 This spot near my home is called the Julie Andrews Meadow (http://www.hikinginutah.com/meadow-hike.htm) after the place show in the famous movie, Sound of Music. Now, share your ideas based on your personal likes/dislikes and any cultural reasons the influence your choice. Our Aging Population: What does the future hold for us? Please listen to this topic and share your ideas. People study languages for different reasons, and English is one of them. Please share your reasons for learning the language and how the language will help you in your current and future life. Share your experiences or successes of how the language has a made a difference in your life. Life Lessons: Should teenagers work part time? In today's world, most teenagers have many issues to deal with: family expectations, future education, relationships, and social pressures. In fact, these issues can differ widely from culture to culture. My question is whether having a part-time job as a teenager can benefit them socially, emotionally, or economically. Some people say that it helps them become independent, while others might say that working interferes with their education. So, what do you think? Please share your experiences and any cultural expectations where you live. If someone were to visit your area, what unique souvenir could he/she pick up for family and friends? Personally, I live near the Great Salt Lake, one of the largest salt water lakes in the world. And because the salt content is much higher than the ocean, you can easily float on the surface. Every year, I take students to the Great Salt Lake to swim, and it's a fun adventure, plus there are over 500 buffalo (bison) on the island where we go, so you can see a lot of wildlife. Well, this leads to the unusual souvenir. You can buy a salt water candy (taffy) that many people would enjoy. You can also purchase bath salts and even table salt from the lake. So, what about souvenirs from your area? Share your ideas and thoughts on the topic. Community Recycling: What can we do? Protecting our plant and recycling have become important issues in our world, and encouraging everyone to help can make a big difference. Of course, local and national government support, in addition to business, are key, but we need to get everyone involved. Personally, we collect all our newspapers and take them to a local school where this is a recycling collection box. We also use our used copy paper for many other art projects a home. Every little act helps. So, what about people in your local communities? What is being done (or could be done) to save our planet's limited resources? Share your ideas and experiences. 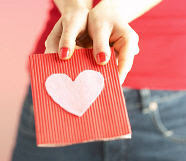 Valentine's Day: How do you celebrate this day? Valentine's Day is just around the corner, and for many people worldwide, it is a time of love, appreciation, and romance. But, how is this day celebrated in your area, if at all? Do both men and women exchange gifts? Do parents give something to their children? Are there Valentine's parties at school or work? Share your ideas and thoughts on this topic, including any personal experiences you have had. Greatest Inventions: What has changed the world the most? What do you think is the greatest invention (or discovery) that has had the greatest impact on mankind over the last 500 years? The printing press? The computer? The can opener? Oil? The light bulb? Share your opinion on this topic and share your reasons to support your idea. Language Learning: Easier for children or adults? There is often a great deal of discussion about who learns languages better based on the situation, language skill, exposure to language, and age. However, just saying that children learn better is a very simplistic answer. Based on what you know and have experienced, share your ideas on this topic. I'm sure we can come up with some interesting discussion. Internet Dating: Is it worth the effort? As the Internet as grown, more and more people are seeing the Internet as a means of meeting people, not only in their local areas, but also overseas. The idea of being able to communicate with people from home is a big plus for many verses the days when I was dating 20+ years ago when you had to go out to a party or other event to try to meet people. The idea of meeting people from other countries, even leading to marriage, is not so uncommon today. So, what do you thing are the advantages and disadvantages of online dating? Are there limitations to starting a relationship that way? What are some possible dangers? Share your ideas and experiences on this topic. Cultural Surprises: What would people find unique or different? When someone visits your country of city, what is something they might find surprising or different? This could be anything related to language, customs, geography, weather, social interaction, or religion. In my area, there is a train that people use to travel around the city, and you have to buy a ticket to ride it; however, you don't have to show it to anyone unless a train official asks. In six years of riding the train, I've only been asked three times to show my ticket. This system might not work in many places, but people here are pretty honest to pay for a ticket even if no one asks to see it. Of course, if you ride the train without purchasing a ticket and they catch you, you have to pay a fine. It's a great and easy train system to get around. Please share your ideas on one unique thing about your area.